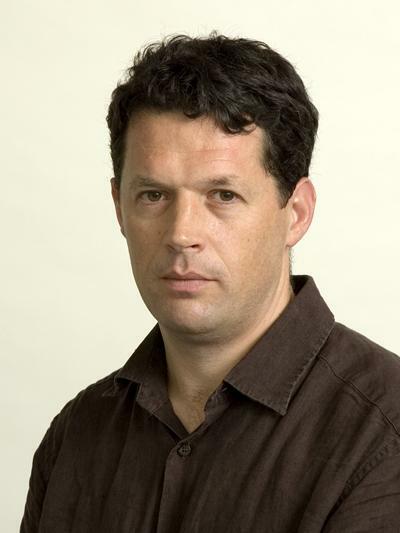 Professor Toby Tyrrell is Professor in Earth System Science within Ocean and Earth Science, National Oceanography Centre Southampton at the University of Southampton. Tyrrell, Toby (2013) On Gaia: A Critical Investigation of the Relationship between Life and Earth, Princeton, US, Princeton University Press, 312pp..
Daniels, C. J., Tyrrell, T., Poulton, A. J., & Young, J. R. (2014). A mixed life-cycle stage bloom of Syracosphaera bannockii (Borsetti and Cati, 1976) Cros et al. 2000 (Bay of Biscay, April 2010). Journal of Nannoplankton Research, 34, 31-35. Tyrrell, T. (2013). Gaia: the verdict is... The New Scientist, 220(2940), 30-31. Tyrrell, T., Loucaides, S., Kelly-Gerreyn, B., & Achterberg, E. (2010). Interactive comment on “On CO2 pertubation experiments: over-determination of carbonate chemistry reveals inconsistencies” by C.J.M. Hoppe et al. Biogeosciences, 7, C257. Burkill, P., Tyrrell, T., & Edwards, M. (2009). European Project on Ocean Acidification (EPOCA): Objectives, Products, and Scientific Highlights. Box 2. European time series of calcareous organisms and carbonate chemistry. Oceanography, 22(4), p195. Findlay, H. S., Tyrrell, T., Bellerby, R. G. J., Merico, A., & Skjelvan, I. (2008). Carbon and nutrient mixed layer dynamics in the Norwegian Sea. Biogeosciences, 5(5), 1395-1410. Tyrrell, T., Schneider, B., Charalampopoulou, A., & Riebesell, U. (2008). Coccolithophores and calcite saturation state in the Baltic and Black Seas. Biogeosciences, 5(2), 485-494. Raitsos, D. E., Lavender, S. J., Pradhan, Y., Tyrrell, T., Reid, P. C., & Edwards, M. (2006). Coccolithophore bloom size variation in response to the regional environment of the subarctic North Atlantic. Limnology and Oceanography, 51(5), 2122-2130. Lessard, E. J., Merico, A., & Tyrrell, T. (2005). Nitrate: phosphate ratios and Emiliania huxleyi blooms. Limnology and Oceanography, 50(3), 1020-1024. Tyrrell, T., Maranon, E., Poulton, A. J., Bowie, A. R., Harbour, D. S., & Woodward, E. M. S. (2003). Large-scale latitudinal distribution of Trichodesmium spp. in the Atlantic Ocean. Journal of Plankton Research, 25(4), 405-416. Smyth, T. J., Land, P. E., Groom, S. B., Moore, G. F., & Tyrrell, T. (2002). Optical modelling and measurements of a coccolithophore bloom. Applied Optics, 41(36), 7679-7688. Tyrrell, T., & Wright, J. (2001). Calcium carbonate and climate. Ocean Challenge, 11(1), 13-21. Groom, S., & Tyrrell, T. (2000). Plankton summer blooms. Ocean Zone, Southampton Oceanography Centre, No.2, p.6. Tyrrell, T., & Law, C. S. (1997). Low nitrate: phosphate ratios in the global ocean. Nature, 387(6635), 793-796. Tyrrell, T., & Taylor, A. H. (1995). Latitudinal and seasonal variations in carbon dioxide and oxygen in the northeast Atlantic and the effects on Emiliania huxleyi and other phytoplankton. Global Biogeochemical Cycles, 9(4), 585-604. Tyrrell, T. (2013). On Gaia: A Critical Investigation of the Relationship between Life and Earth. Princeton Meadows, US: Princeton University Press. Tyrrell, T., & Young, J. R. (2009). Coccolithophores. In J. H. Steele, K. K. Turekian, & S. A. Thorpe (Eds. ), Encyclopedia of Ocean Sciences, 2nd ed. (pp. 3568-3576). San Diego, US: Academic Press. Tyrrell, T. (2004). Biotic plunder: control of the environment by biological exhaustion of resources. In S. H. Schneider, J. R. Miller, E. Crist, & P. J. Boston (Eds. ), Scientists debate Gaia: the next Century (pp. 137-147). Cambridge MA, USA: MIT Press. Tyrrell, T., & Merico, A. (2004). Emiliania huxleyi: bloom observations and the conditions that induce them. In H. R. Thierstein, & J. R. Young (Eds. ), Coccolithophores: from molecular processes to global impact (pp. 75-97). Berlin, Germany: Springer. Tyrrell, T. (2001). Redfield ratio. In J. H. Steele, S. A. Thorpe, & K. K. Turekian (Eds. ), Encyclopedia of Ocean Sciences (pp. 2377-2387). San Diego, USA: Academic Press. Hydes, D. J., Loucaides, S., & Tyrrell, T. (2010). Report on a desk study to identify likely sources of error in the measurements of carbonate system parameters and related calculations, particularly with respect to coastal waters and ocean acidification experiments. Supplement to DEFRA contract ME4133 “DEFRApH monitoring project”. (National Oceanography Centre Southampton Research and Consultancy Report; No. 83). Southampton, UK: National Oceanography Centre Southampton. Legge, O., & Tyrrell, T. (2010). Short Report on Results of Acidification Modelling Study. Southampton, GB: University of Southampton, School of Ocean and Earth Sciences. Legge, O., & Tyrrell, T. (2009). Short review of chemical and biological consequences of ocean acidification. Southampton, GB: University of Southampton School of Ocean and Earth Sciences.